There’s just something about that aromatic mix of warming spices that’s so comforting to me and to many others. I’m thinking in terms of memory lane. There’s something in there for everyone – some people might smell the Cinnamon and think of Hot Cross Buns or the Cloves and think of Christmas. For me, some of my favourite dishes that Mum makes has ginger in it. It’s probably not so much the ‘reminiscing’ that I associate this smell with – I think of me more like a dog. You tell it to sit (while waving a treat in front of it, and it’s trained to expect a treat) unitl it becomes so used to it it sits on command without the reward. I smell ginger and althought I don’t necessarily expect a hearty meal (or the reward) to follow – theres always IS a ‘reward’; and that reward, for me, is drinking this baby. This is the Chai I made earlier this week. Add all the spices and the water to small pot. Turn down the heat to the lowest, let it simmer for 5 minutes. Turn off the flame, let it sit for 15 minutes. Turn the flame back on, let it simmer. Turn off the flame, let it sit for ANOTHER 15 minutes. Turn the flame back on, reduce the liquid to half the amount. Add the tea bag, let it come to a simmer. Turn the flame off and let it sit for 5 minutes. Put the strained liquid back in the pot (cleaned of course). I have to say, the process seems ridiculously long with such a small yield. (Cup and a half at the end or two cups (thats stretching it). Also, 1 tablespoon of sugar is A LOT. However, you can make it as sweet or less sweet as you like. I like my Chai sweet. It is worth it. I will be honest and say that it doesn’t taste 100% like the packet stuff. Again to be honest, it’s not meant to! It’s a la naturale. Who wants ‘Hydrogenated’ (think Trans Fat. Clogged Arteries) oils in your drink????? 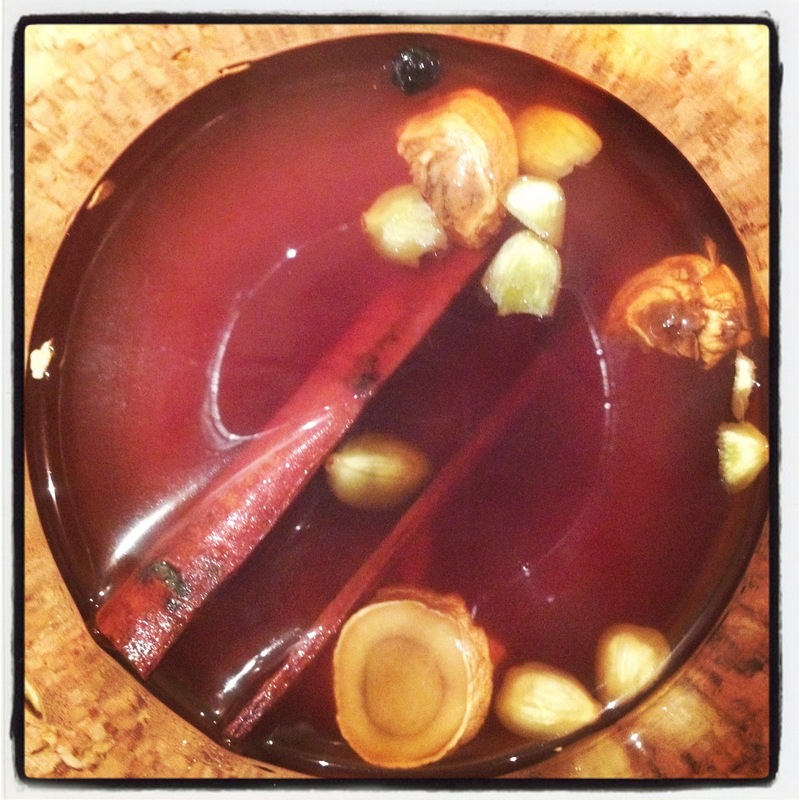 I have found that with the addition of extra cloves (go Christmas People!) it make it more aromatic in a positive way. Under no circumstances are you to add extra cinnamon. That is just asking for it. By the way, What I tend to do (Since I have an expresso machine) is add the cold milk to the reduced, strained spice mix, put it in a jug and froth the hell out of with the steam wand. 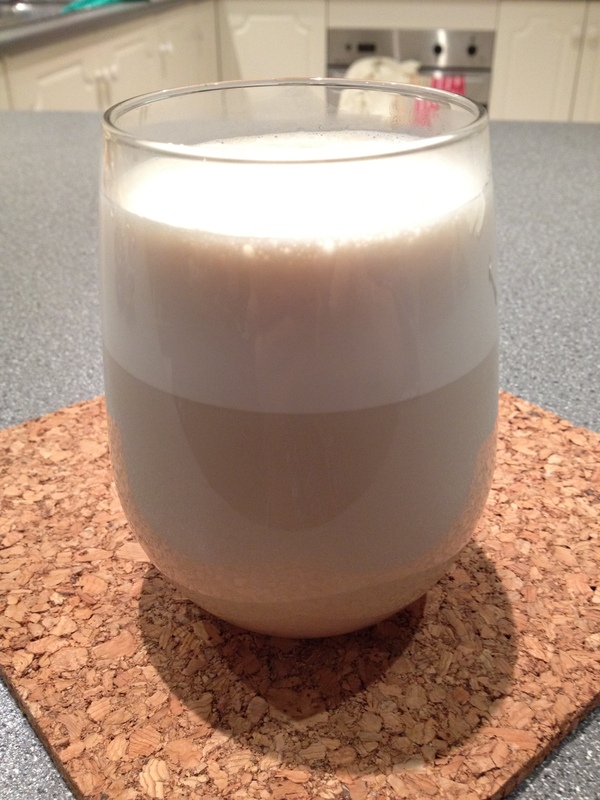 This is the result – Look at the froth!! !